Fasting is one of the most powerful methods to lose weight. And the best part is that you don’t need to do it daily, but twice a week. 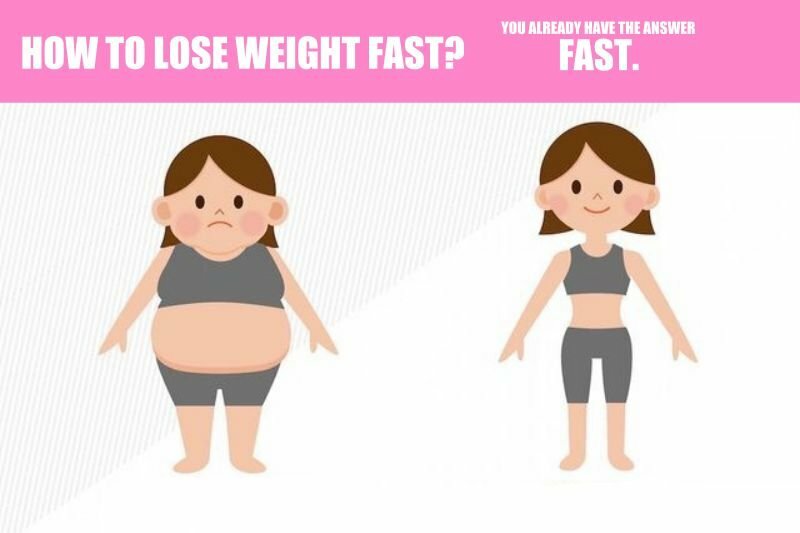 But what if I told you that the simplest, flexible and easy way to lose weight fast is not about dieting, but fasting – skipping meals from time to time?! Pretty simple: you just go a pretty long period of time (14 to 36 hours) without eating at all (but drinking a lot of water), or by consuming very few calories. This method can actually be a lot easier than you may think, can help you lose weight really fast, feel better overall and improve your body composition. If you think about it, your body is already used with the fasting method since we all fast every night while we sleep. Intermittent fasting just means extending that sleeping period, and being a bit more conscious of your eating schedule overall. Why Fasting Is Good For You? Studies have shown that decreasing calorie intake by 30% to 40% (regardless of how it’s done) can extend life span by a third or more. Plus, the risk of many common diseases may be reduced by limiting your food intake. Fasting can also increase the body’s responsiveness to insulin, which regulates blood sugar, helping to control feelings of hunger and food cravings. If you have any kind of health condition you should ask for your doctor’s permission before starting to fast. Eat Stop Eat is an intermittent fasting diet suitable for every healthy person who wants to lose weight fast. It’s created by Brad Pilon and works best for healthy eaters looking for an extra boost for their weight loss process. Don’t consume any kind of food for 24 hours, just drink water or other calorie-free beverages instead. Fast one or two times per week. When you finish the fasting period, go back to your usual eating schedule and act like you didn’t fast (eat normal quantities, don’t overeat). This way you’ll limit how often you eat, not what you’re able to eat, as most of the diets suggest. As an important note, if weight loss or muscle gain are your goals, you should also incorporate resistance training or any other kind of workout into your schedule. 1. It’s simple to use and put into practice because all you have to do is to not eat food for about 24 hours once or twice a week. 2. It’s effective – Nia Shanks is one of the thousands of people who have tried this intermittent fasting method and got great results. 3. It’s flexible – It’s recommended to fast on your busiest days when you’re not concentrate on what you eat (and maybe you’ll forget you’re hungry). Also, when you have a wedding or other event planned, all you have to do is to adjust your fasting days accordingly. 4. It’s stress free – You don’t have to count calories or even restrict your favorite, delicious foods. 1. It can have side effects such as fatigue, headaches, or feeling anxious. Don’t be afraid, these symptoms will dimish over time, after you get used with this fasting method (usually after 3-4 fast periods). 2. It takes a lot of self-control to resist temptation to eat for 24 hours. 3. It can lead to binge eating after abstaining from food for 24 hour. Again, self-control can be the remedy here. If you want to give this Eat Stop Eat diet a try, I suggest you to fast as long as you can at first and gradually increase the fasting period over time. Let me know in the comments below if this simple diet worked for you. Stay fit!